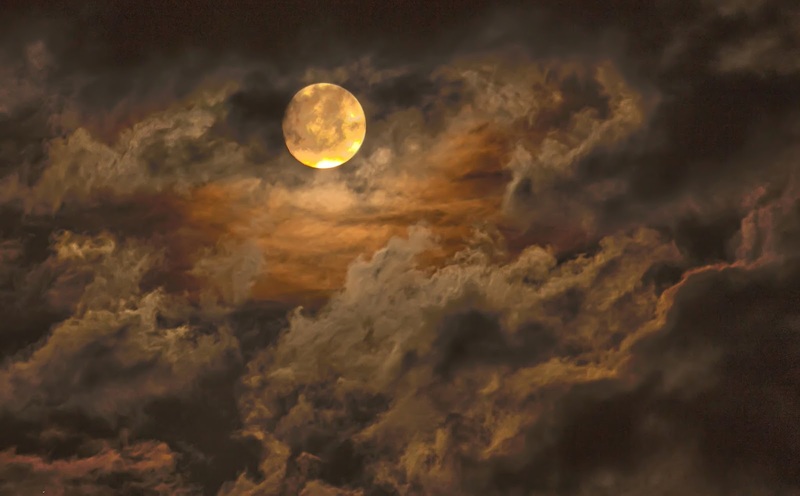 As I glanced out my window last night the above is approximately what I saw--that full moon looked spooky! At the time I didn't realize that today was a Friday the 13th. Am I superstitious--yes--to a large degree!! Even though I was born on a 13th and people try to tell me that it should be lucky for me--I have never found it so!! Not that it keeps me home hiding under the bed (although that is what I actually want to do)--strange and not so nice things happen to me. I'm not going to go into them-let's just say that my Dad died 13 days before my 16th birthday--50 years ago. I have been very tired lately and have not been able to keep up with my blog like I normally do. The eye doctor is trying to find eye drops that will help alleviate the pressure in my eyes--the ones I am currently using seem to be making them worse. I go back in 2 weeks--I'll bet he changes them again. Meanwhile it is very difficult for me to sit at the computer for any length of time--it is actually painful. Thus if I seem to be somewhat absent--I apologize!